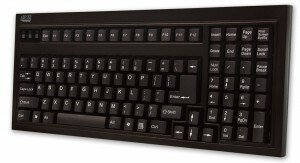 “ Adesso was founded in 1994 and has since grown into a leading manufacturer of computer input peripherals. Our line of products includes Data Input, Handwriting Input and Audio/Video Input devices. The company manufactures and markets innovative, ergonomic, industrial, programmable, wireless, waterproof and foldable keyboards as well as touch-pads, mice, trackballs, webcams, fingerprint and barcode scanners, and high performance graphic tablets.